Top 2 Bottom Marketing - 'Tis the Season to Bring out Our Favorite Holiday Gift Ideas! 'Tis the Season to Bring out Our Favorite Holiday Gift Ideas! It’s that time again! The holidays are around the corner and you’re probably thinking about everything you need to do between now and the new year. For most of us, that includes client and employee gifts. With so many options out there, this may seem like a daunting task, so we thought we’d share some of the items we’ve been eyeing this year! Everyone can use a good blanket! 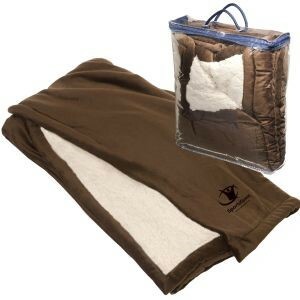 This blanket has super soft, faux micro mink on the outside and faux lambswool Sherpa lining on the inside. It’s warm, comfortable, and is guaranteed to be used for at least a few months, if not longer. Food. Need we say more? Food gifts are never a bad idea unless it’s fruitcake and then it’s just cliché. 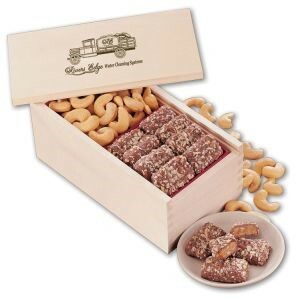 This Toffee & Jumbo Cashews Gift is packaged nicely in a wooden box (fire-branded with your imprint) so all you need to do is add a ribbon. It’s a perfect size, combination of salty and sweet and is sure to please anyone! The mule has exploded in popularity over the last few years, in restaurants and at parties. 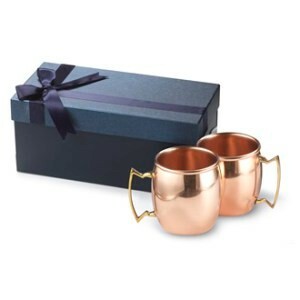 Show your clients you are in line with what’s new and trendy by gifting them a beautiful set of copper mugs like these. The gift box comes wrapped with a satin ribbon and two mugs with multiple styles to choose from. During the holidays, most of us have extended family in town which means you’re probably looking for ways to entertain them. Why not play a game together to pass the time? 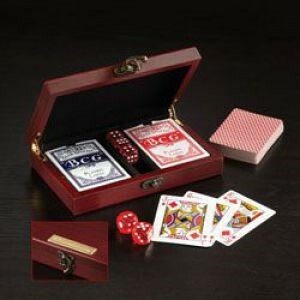 A nice, classic card and dice set like this one is a great gift that will be remembered year after year. A great way to gift someone something they will likely keep for a lifetime (literally) is to give them something unique and special that they will want to see every year. 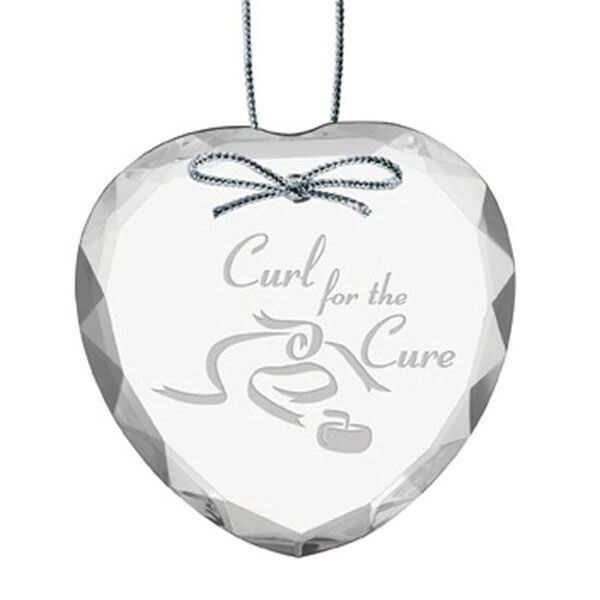 The exquisite and elegant Heart Optical Crystal Ornament is exactly that. This beautiful work of art, along with your logo is sure to become a part of someone’s permanent collection. Hopefully, this helps you take some of the guesswork out of your holiday shopping stress with these fantastic (not paid for placement) gift ideas so you can focus on the most important things this season like spending more quality time with your friends and family. If you still are having trouble, contact us today and we’ll see if we can help you out. And remember, it is not the gift, but the thought that counts!